Start 2019 in style! Take a few days away for some 5-star satisfaction in London and you’re in the best place to enjoy the New Year’s Eve firework celebrations on the Embankment and over the River Thames. Plus you could pick up a bargain or two from the Oxford Street sales! 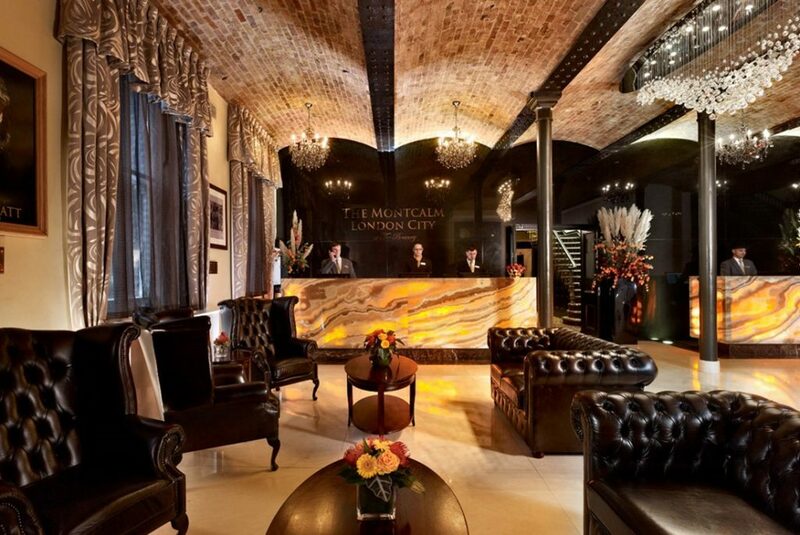 For super stylish 5-star satisfaction The Montcalm at Brewery London City is an excellent choice. Located in The City, it’s only a ten minute tube journey from Oxford Circus and 12 minutes from Bond Street so shopping the London sales couldn’t be easier! This stunning hotel impresses with 5-star satisfaction from the moment you arrive! The dramatic hotel lobby paints a picture of contemporary grandeur with ultra cool marble, leather and lights. The design is a million miles away from how the building looked 200 years ago when it was the largest brewery in the world. Super sleek styling stands out in the guest rooms which feature flat screen TVs and iPod docks. The luxurious black tiled bathrooms have large rain showers, bathrobes and Elemis or Hermès toiletries. The Wow Suite definitely does! It features a beautiful four-poster bed and a deluxe en-suite bathroom, 40″ flat screen TV and handy smart phone service. 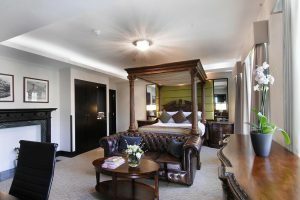 Guests staying in the Wow Suite also benefit from access to the spa and fitness room at the Montcalm Royal London House which is close by. The Barbican Duplex has a sofa and work area on the ground floor with a bedroom and separate bathroom on the first floor. Guests can enjoy great views from the floor to ceiling windows and many original heritage features from the Whitbread Brewery era. As well as enjoying access to the leisure facilities at the sister hotel, guests staying in the Barbican Duplex have a private butler service, which is also available in the Family Suite. The former Whitbread barrelling room now forms The Jugged Hare restaurant. Vaulted ceilings, timber floorboards and ceramic tiles set the scene for diners. Enjoy the drama of an open kitchen lead by head chef Stephen Englefield. A specialised menu of split roast meats, wild fish and shellfish and a seasonal game menu are available. The Sunday roast menu is always a hit with guests and visitors! For cask ales, super wines and relaxed dining, the King’s Head gastro pub is perfect. For a different outlook on London, Montcalm Royal London House is the place to be! As one of the City’s newest additions, the rooftop terrace bar and restaurant has spectacular views over the City of London’s skyline. Guests can spot many iconic high-rise buildings. 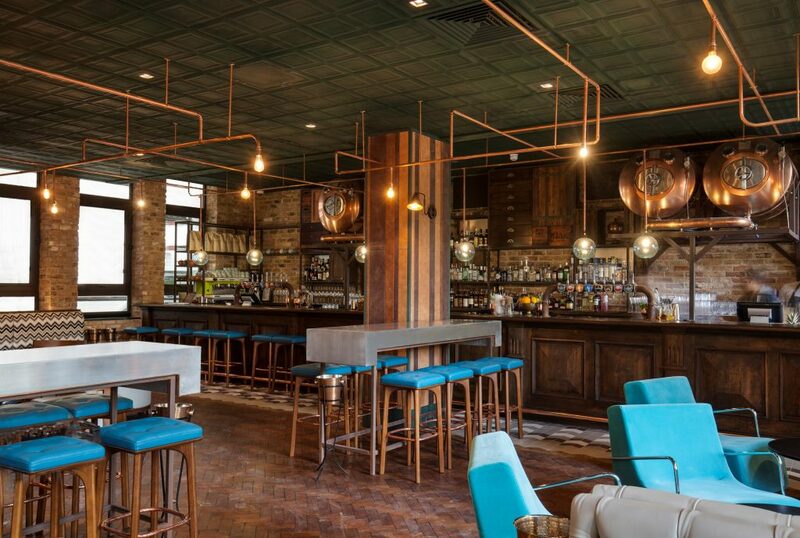 If you don’t have a head for heights, the Burdock or Long Arm Pub are both a stylish answer for dining and light bites in a gastro pub environment. When a 5-star New Year in London doesn’t appeal it’s time to experience the equally superb facilities and sublime service available in a countryside setting! 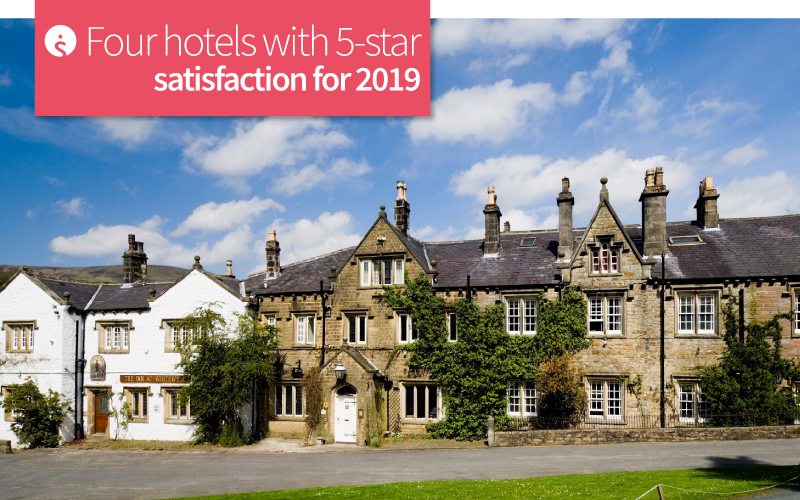 Enjoy a luxurious start to 2019 as the king or queen of open spaces and head to Lancashire for a feeling of 5-star satisfaction! With a philosophy to provide a stay without snobbery that’s very enjoyable and not too expensive, this traditional inn charms from the exterior through to all the internal finishing touches. There are just 23 en-suite guest rooms with 14 benefiting from welcoming open fire places. Vintage furniture, tasteful décor and beautiful fabrics create an individual style in each of the spacious rooms. Several guest rooms have the added attraction of riverside views. 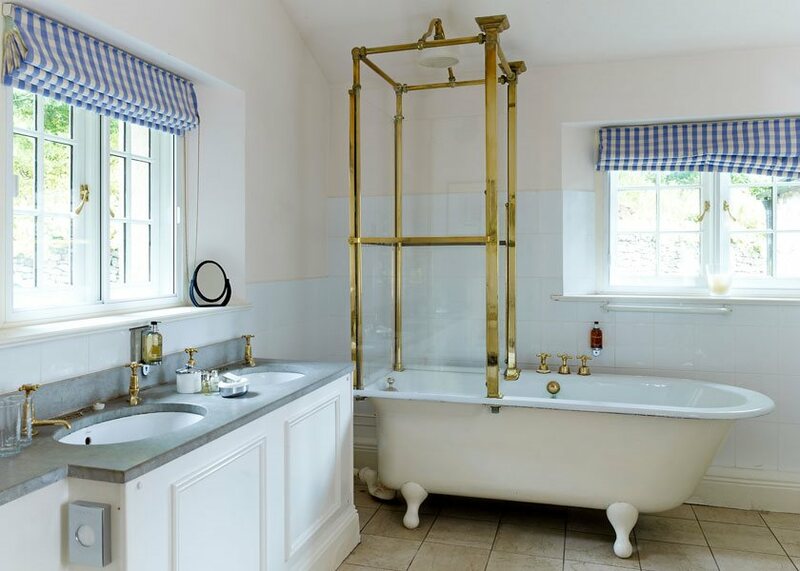 Bathing is an experience to be remembered here as some of the bathrooms have spectacular restored Victorian cabinet baths. As well as looking impressive, the bath time experience will definitely encourage you to linger! No less impressive or inviting are the ultra-modern bathrooms. Head chef Jamie Cadman has been in the kitchen at the Inn at Whitewell for over 20 years – testament to his fabulous dishes. His ethos is to use seasonal, local produce, cooked simply to let the quality take centre-stage. Guests have a choice of supper in the charmingly rustic bar. The a la carte menu is served between 7.45pm and 9.30pm in dining room. Seasonal grouse, pheasant and partridge from Dunsop shoot, beef and lamb from Burholme Farm are menu staples. Real ale fans will be more than happy with the local cask ales. Another must is the organic ginger beers and the interesting selection of wines from around the world! Holistic beauty and massage treatments for men and women will bring even more harmony to your stay here! 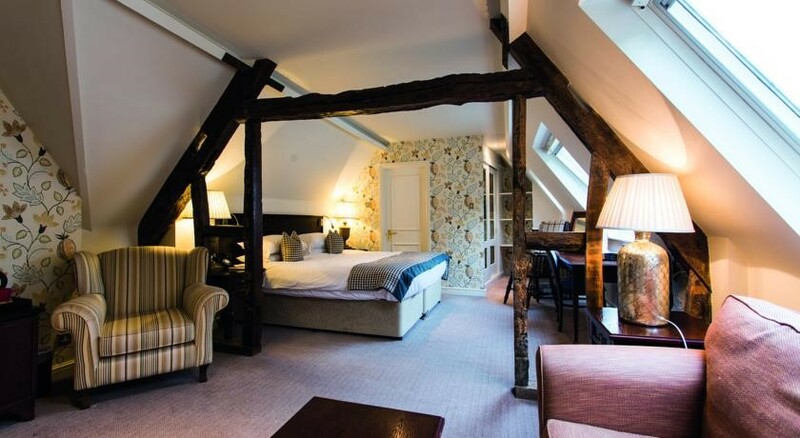 Live like a medieval king or queen in The Cotswolds! An Area of Outstanding Natural Beauty, The Cotswolds has long been associated with cultured cities, chocolate box villages and the charm of the rolling wolds. A few days away in The Cotswolds will always provide 5-star satisfaction! There are so many attractions for visitors in this quintessential piece of England, it’s easy to make memories in The Cotswolds. The largest Cotswold town is Cirencester in Gloucestershire. The ancient ruins of an amphitheatre and an excellent visitors’ journey at the Corinium Museum explain the development of the area from prehistoric times. The Elemental Sculpture Park is another must-see. Its woodland trail and tea room display the work of many talented sculptors which will impress. Located on the old Cirencester Market Square, The Fleece has an excellent reputation for mini-breaks. 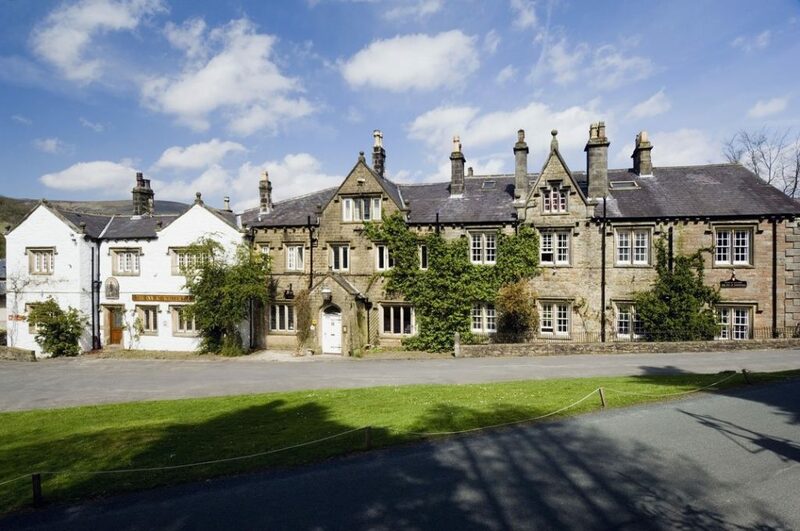 The combination of 17th century history and character, welcoming en-suite guest rooms with period features, real ales and award-winning service will leave you feeling like a 5-star guest. The bar area has beautiful bay windows for a spot of people watching. Or cuddle up in a cosy booth and bunker down for a couple of hours of uninterrupted ale time! You can enjoy feel good food with lots of delicious pub classics that are made from locally sourced produce. Some people will prefer a 5-star luxury stay in a chic London hotel. Others will feel a mini-break in the country delivers all the 5-star qualities they need! Whichever you prefer, hand your brief over to the team and they will find you fantastic options for 2019.